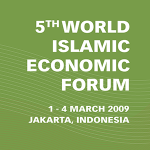 The 9th World Islamic Economic Forum was held on 29 – 31 October 2013 at the ExCel London. 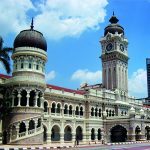 This was the Forum’s first annual event in Europe following successes in Malaysia, Kazakhstan, Indonesia, Kuwait and Pakistan. 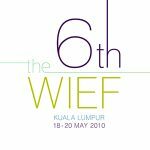 At the 9th WIEF, sessions were adapted to increase delegates’ participation as they explored business and investment opportunities, as well as engaged in discourse on topical issues and how best to address them. 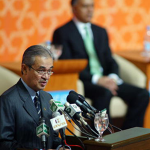 Key areas of focus at the 2013 forum in London included Islamic banking and finance, technology, infrastructure development, health, exports, education and youth. 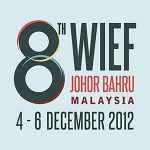 Please visit www.9thwief.org for more information. Statement The 9th World Islamic Economic Forum (WIEF) themed “Changing World, New Relationships” was held in London on 29-31 October 2013 at a time when the global economy remains fragile with high unemployment, rising expectations, and slow growth leading to increased demands for economic transformation. The Forum was opened with a Keynote Address by the Hon. 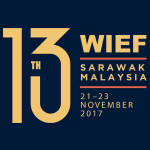 Dato’ Sri Mohd Najib Tun Abdul Razak, the Patron of the WIEF Foundation and Prime Minister of Malaysia; and Special Addresses by the Rt. Hon. David Cameron, Prime Minister of the United Kingdom; H.M. Sultan Hassanal Bolkiah of Brunei; H.M. King Abdullah II of Jordan; H.E. President Hamid Karzai of Afghanistan; H.R.H. Crown Prince Salman bin Hamad bin Isa Al Khalifa of Bahrain; and their Excellencies Bosniak Member of the Presidency Bakir Izetbegovic of Bosnia and Herzegovina, President Atifete Jahjaga of Kosovo, President Md. Abdul Hamid of Bangladesh, Head of Government Abdelillah Benkirane of Morocco, Prime Minister Muhammad Nawaz Sharif of Pakistan, Vice President Prof. Dr. Boediono of Indonesia, Deputy Prime Minister Sheikh Salem AbdulAziz Al-Saud Al-Sabah of Kuwait, Deputy Prime Minister Ali Babacan of Turkey, Deputy Prime Minister Dr Rowsch Nuri Shaways of Iraq, Deputy Prime Minister Asset Issekeshev of Kazakhstan, Premier Craig Cannonier of Bermuda and President of the Islamic Development Bank Dr Ahmad Mohamed Ali. Also in attendance were the Hon. 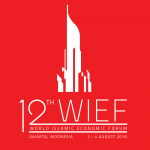 Tun Abdullah Ahmad Badawi, Founder Patron of the WIEF Foundation and former Prime Minister of Malaysia, Lord Mayor Alderman Roger Gifford, Mayor of London Boris Johnson, Chief Executives of leading corporations, key decision makers, thought leaders, academia, civil society, women and young entrepreneurs as well as representatives of the creative arts. 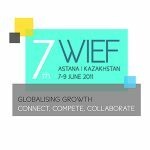 The 9th WIEF, the first to be held outside of the Muslim world, was historic in attracting 18 Heads of State and Government, 46 Ministers, 7 Central Bank Governors and 2,700 delegates from 128 countries. 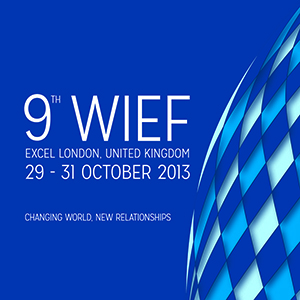 The Leaders commended the WIEF and the UK Government for convening the 9th WIEF in London. The Forum welcomed the statements made by the Leaders. 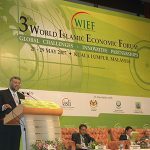 It recognised in particular the Malaysian Prime Minister’s emphasis on women empowerment and the British Prime Minister’s announcement for Britain to become the first sovereign outside the Muslim world to issue a sukuk as well as his Government’s commitment to open up new forms of student loans and business start-up loans specifically for British Muslims. The Forum appreciated the call by HRH the Prince of Wales for more sustainable and ethical business practices and the protection of nature’s capital resources. 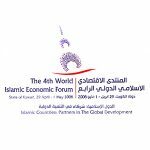 The Forum also noted the Mayor of London¡¦s affirmation of London¡¦s positioning as the centre for Islamic finance in Europe. Expert presentations and constructive discussions were held on key issues including policy framework for economic growth, doing business in a changing world, developing smart cities, harmonising global standards for Islamic finance, capitalizing on online markets and global connectivity, promoting transnational education, supporting greater women¡¦s presence in the corporate world and addressing global health challenges. The British Business Pavilion organised by the UK Trade and Investment, and other programmes promoting investments in Bosnia and Herzegovina, Kosovo, Afghanistan and Pakistan provided valuable opportunities for business. The parallel programmes of Masterclasses, Roundtables, Special Programmes, Sponsor Programmes, MocaFest and the Business Networking Breakfast proved immensely popular and generated wide ranging dialogues on international business and economic collaboration. iv. Promoting SME development as a driver of growth and employment. 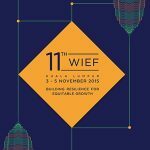 The Forum urged the WIEF to continue to align its programmes and activities in support of the above. The Forum recorded its appreciation to the Hon. Prime Minister and the Government of Malaysia as well as the Rt Hon. 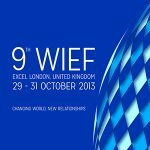 Prime Minister and the Government of the United Kingdom for co-hosting the 9th WIEF in London and for the warm hospitality accorded to all participants. We acknowledge the contribution and support of our Partners, Sponsors and Role Players. 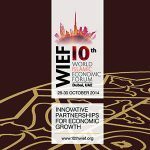 The Forum agreed to hold the 10th WIEF on 24-27 November 2014 in Dubai, United Arab Emirates.